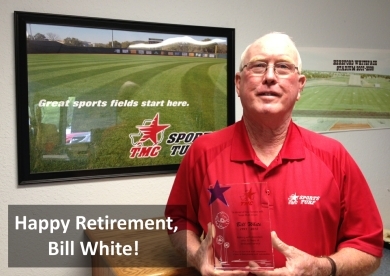 Bill White worked as a salesman for Texas Multi-Chem (TMC) for 32 years. In this day and time, it is unusual for employees to remain with a company for so many years. Bill retired from TMC in June 2013. A dinner was held for Bill and his family so TMC could honor him for his successful tenure. Bill will be greatly missed as a valued and loyal employee. Bill’s career was successful because he treated his job and his customers with integrity, honesty, and professionalism through the years. Bill and his family will always be a part of the TMC family and we wish him many happy and healthy years of retirement!